It’s a nice sentiment but not really the case. Ask almost any entrepreneur, and they will tell you that creating a product or offering a service is only a part of the battle. Companies big and small spend a considerable amount of their efforts (and dollars) on marketing. In fact, if you are bringing in less than 5 million a year the U.S. small business administration recommends allocating 7 to 8% of your gross revenue on marketing. This is due to a simple concept. If your ideal customer doesn’t know you exist you aren’t going to be able to grow. What better way than to add video marketing? Why Do You Need Video Marketing? Everything you do in an effort to tell people about your business falls under the marketing umbrella. It covers a variety of things from branding to social media, to email. Video marketing is just one of the moving parts of an effective marketing plan. And there are many more. In my personal experience as a videographer, I have seen well-crafted videos add massive value to my client’s businesses. The audience learned more about them through a short video then they did reading pages of copy. This is not to say that well-written copy isn’t crucial, because it is! But if you aren’t using video, you are missing out on a huge opportunity to connect with your audience. Video gives you the highest and quickest return on your investment. This is because video encourages higher engagement, works to establish you as an authority in your space, and solidifies your brand. You may think that you don’t need video because of your particular business. Trust me, you do! No matter what industry you are in, you can (and should) be making videos. Here are 8 creative ways you can add video to your marketing plan. Many people know about commercials. They are an advertisement with the goal of selling something. They are an effective way to tell people why they should buy your product or service. But if you don’t already have one, I recommend opting for a business profile video. A business profile video is like a mini-documentary for you and/or your company. It’s perfect for soloprenuers, small, or large businesses that want to connect with their audience in a real way. It tells the story behind your business. It is a powerful tool to establish who you are and what sets you apart from your competition. Using video on your social media platforms is an excellent way to market yourself. And there are a variety of ways you can do this! You could make “360 view” videos to show the unique packaging (or branding) of your product. You could film “action” shots of your product in use. If you offer a service, you can make quick videos giving consumers advice. Whatever you do, social media video is booming and you can make them with little effort. You can plan them in advance and have them ready to post weeks prior. If you commit to a schedule, you’ll likely see more engagement and followers. Customers want to see videos from companies they support over newsletters. So why not give them the best of both worlds? Email marketing is still a mainstay for business. Adding video will only bring more value to your audience! Along with your email campaign, you can make supplemental videos to support the message. Even if you think you don’t, you can make content for youtube. It’s just a matter of identifying what information you want your clients to know. If you make health products, then why not create health and wellness material for youtube? Do you design printables? Why not make videos showing other people how you do it? If you run an online store, maybe you can make videos to help others get their online stores off the ground? But someone else is already doing that, and probably doing it better than anything I could do. No need for me to throw my hat in the ring. I hear you. And you may be right. Let’s refer back to that statistic above. 54% of people say they *want* to see videos from brands they support. Think about that. That means if they support you they want to see videos from you! Not the other guys. They may be doing great work, but that has nothing to do with you and your audience. Live streaming is an emerging video marketing tool that a lot of companies are using. If you want to give this a try, I recommend picking one platform, like Facebook live and doing all your live streams there. I also recommend following a schedule and planning out the content you want to talk about in advance. 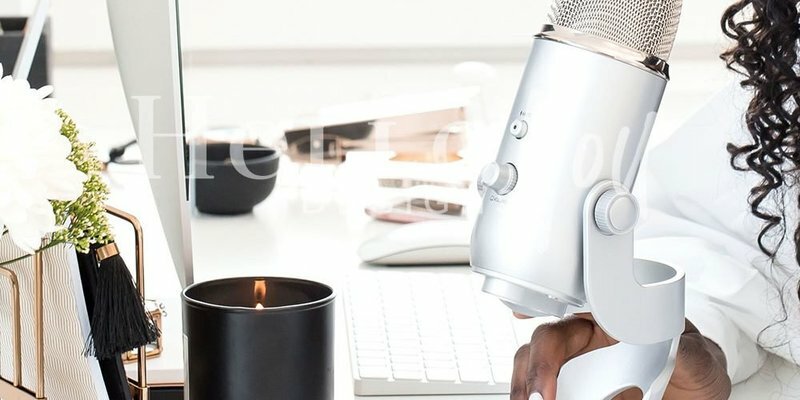 Have a podcast? You can repurpose those into videos by filming you while you record it. I have seen a lot of radio stations expanding into this tactic, something tells me they got wind of the importance of video! You can just pop up a camera on a tripod and hit record! Timelapses are nothing more than a bunch of photos strung together or a long video sped up. If you are a creator or do work that is physical, you could pop up a camera and film the process. People *love* seeing the process of how things are made and you can put these on youtube or your social media profiles. It’s a great way to give your audience a look behind the scenes! Collecting written reviews is a great way to establish social proof of what you do. It’s a good idea to start collecting those as soon as possible. What if you took those testimonials and made them into a video? You could do that by using motion graphics/test. Or you could have your most die-hard supporters give their reviews on camera! If you think that’s going to be a tough sell, you could offer an incentive by giving them a discount on their next purchase! These video content ideas are easy to add to any marketing plan. So what are you waiting for?! Your supporters want to get to know you better, give the people what they want! Don’t miss this invaluable opportunity to connect with your audience. Once you begin to see a return on our investment, you can hire a videographer or consultant to help you build your video marketing plan. Olivia Johnson is a videographer, photographer and freelance writer in the Atlanta, GA area. She works with soloprenuers and businesses to create video content that resonates with their audiences. Her full-service video production company, Silver Iris Entertainment specializes in commercials, business profiles, and event videography. 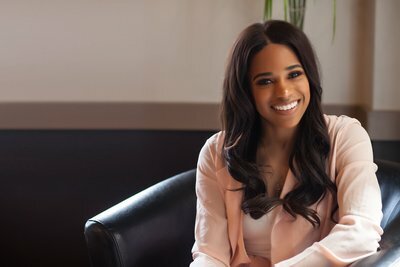 She is also the founder and main contributor at Creatlivity, a lifestyle blog for women in business. She contributes articles about entrepreneurship, marketing, videography, photography, and tech.